For our Challenge 77, the design team challenges your to make a card using both folds and cuts. I decided to make 2 variations of a tri-fold card. This tri-fold card has a slight modification that was developed by Sandy Allnock. Sandy graciously provides a free tutorial complete with a YouTube video and PDF printable template on her blog. If you have never seen her blog, check it out…this woman is outstanding and my favorite craft blogger. What she can do with Copic markers is off the charts. Her talent is met with a wonderful sense of humour! For a good laugh watch her YouTube “Glitter” video. To make my cards, I started by making two tri-fold card bases: one in white, the other green. Next I added the colour blocks of patterned paper. The fun little elves are from MFT - BB Santa’s Elves. I coloured each elf using Copic markers, fussy cut them out and set them aside. For card 1, I die cut a Snowflake by Papertry Ink. I then cut two MFT - Die-namics Stitched Circle Frames and pasted the snowflake inside. The final steps were to assemble the card. For Card 2 I only used a single snowflake. For our Love/Valentine’s/Anniversary Challenge 348, I picked “Love”. 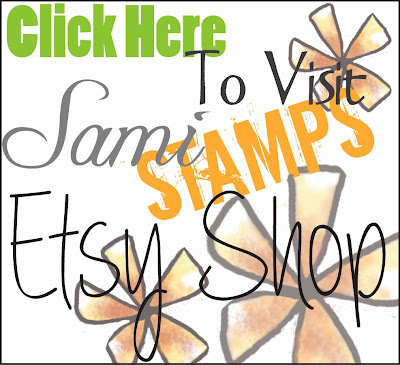 I selected a cute little love bird from SamiStamps – called “Be Mine Feathers” . I coloured her in various shades of yellow with Copics, and layered her on paper from my stash. I made two variations using different “love” themed dies. Please support our sponsors who generously provide our weekly prizes. In December I got a wonderful new Helleboras Stamp and Die Set by Marianne Designs that I felt matched my A Day for Daisies - Aloha Blooms. I started by colouring the bathing beauty with Copics. Next I die cut, stamped and assembled my flowers. Once that was complete I arranged the flowers on my card. It is never too early in the year to start on your Christmas Card Challenge. 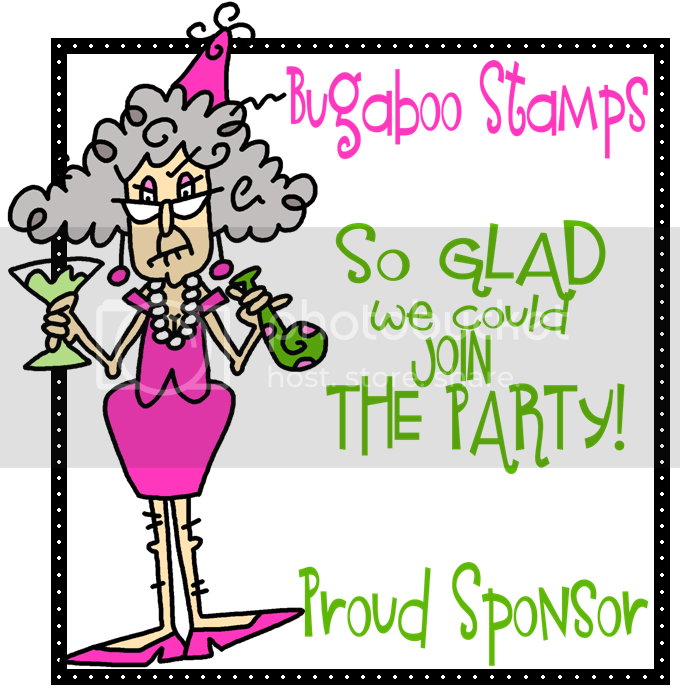 I made this fun little card using Bugaboo Stamp‘s - Rudolph – ornament digi stamp. I coloured this little fellow with Copics, fussy cut him out and set aside. I chose a great pine branch background from my paper stash. I layered the pine paper on solid green card stock, added a Christmas tree sentiment from Lili of the Valley stamps, my reindeer, and three rhinestones. Please support our sponsors that generously provide our weekly prizes. For this Challenge, we are asking for a Christmas card using Silver or Gold. I made three versions of a “silver” card using Craft Dies by Sue Wilson – Festive Collection – Christmas Tree Greeting. I cut the tree out in White and Silver Foil card stock, Silver Glitter and Black card stock, and Silver Glitter and White card stock. I offset and layered the tree die cuts to add dimension. I also triple layered the base card stocks, add the trees, and for the finishing touch, added MFT - Die-namics Four Corners. I photographed the cards in direct and indirect light and have included both images of each card. Please join us. The challenge runs from January 17th until 29th 2016!